A promotional poster for Homecoming Week 1988. 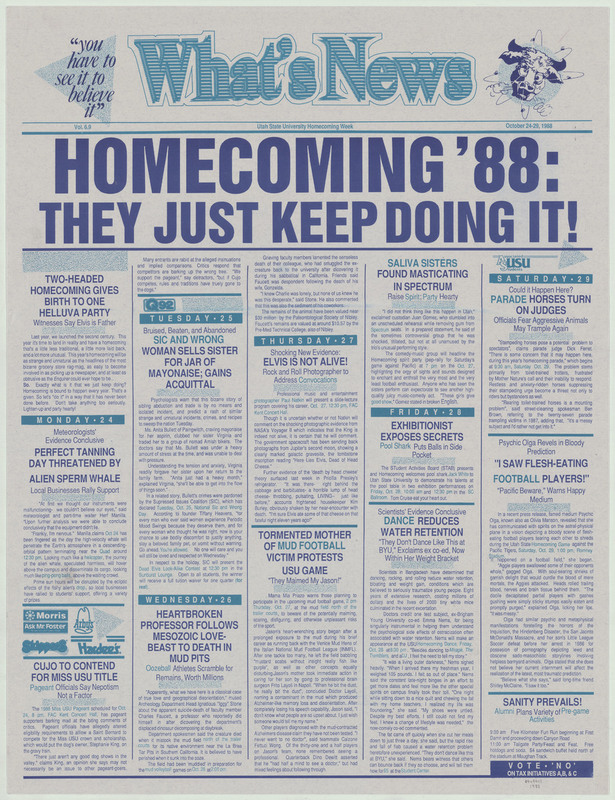 "What's News: Homecoming '88: They Just Keep Doing It!" “Homecoming poster, 1988,” USU Digital Exhibits, accessed April 20, 2019, http://exhibits.lib.usu.edu/items/show/18733.